Call Filter feature of eScan blocks unwanted calls with the unique Whitelist and Blacklist facility. Backup and Restore of Contacts feature allows you to keep a backup of contacts on to the SD card or to Cloud (Google Drive Account) of your device. If at all you lose your contacts, you can easily restore it back. eScan facilitates parental control to keep your children safe online by controlling their access to the Internet applications, games and objectionable websites. eScan’s Web Safety feature identifies the malicious websites that the user visits and provides complete safety against threats. Android 3.2 OS and above or Cyanogen OS 12.0. 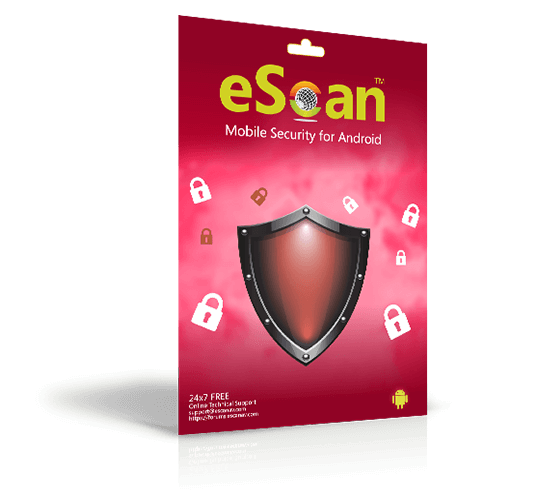 40-50 MB Storage Space is required to efficiently run eScan Mobile Security.